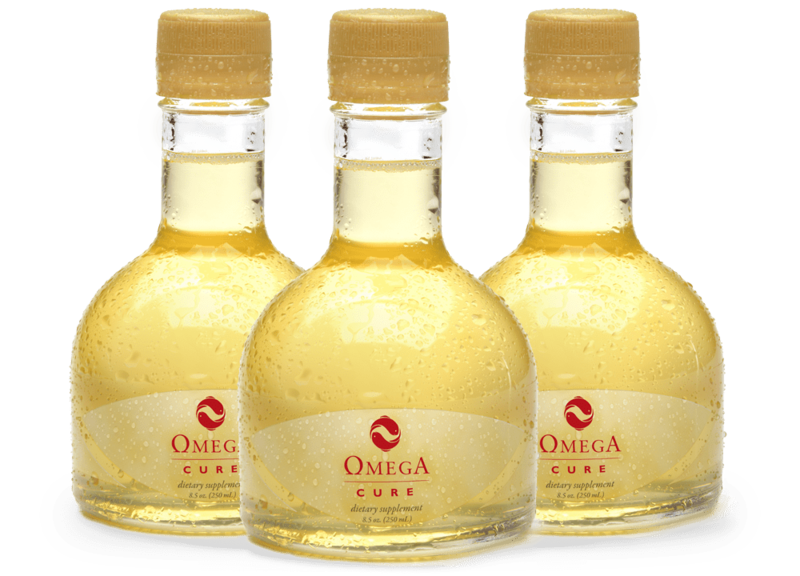 Enjoy big savings on Omega Cure when you enroll in our subscription program and order three bottles at a time. Shipped at the recurring time interval of your choosing, the Omega Cure Subscription allows you to enjoy your daily dose of fresh, full-spectrum cod liver oil at a reduced price and without needing to worry about running out. The recommended daily dose for adults is 2-3 teaspoons of Omega Cure. For children between ages 1-4, take 1/2 teaspoon daily. For children ages 5-15, take 1 teaspoon daily. Depending on the temperature, Omega Cure may congeal in the refrigerator. This is normal for all extra-virgin oils. 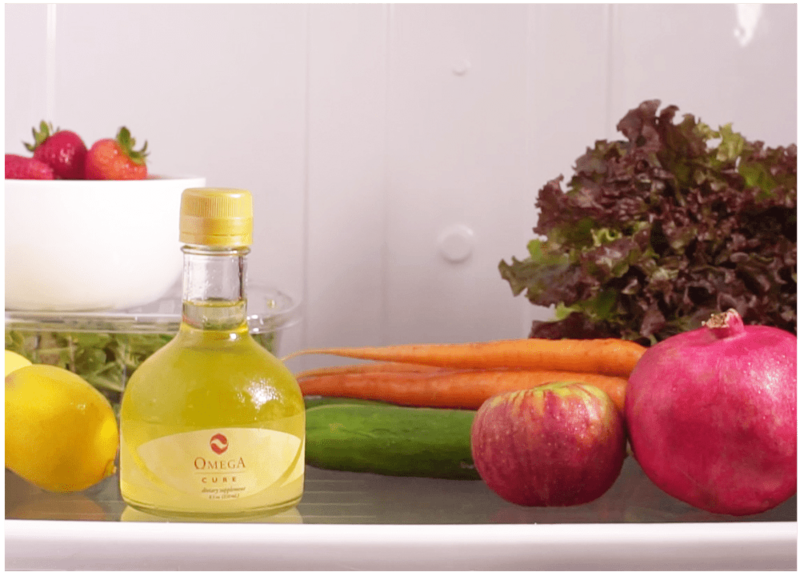 If you find that the oil is excessively congealed and hard to pour, let the bottle thaw at room temperature for about 10-15 minutes before taking the oil. Take your Omega Cure at the same time every day, preferably with food. Calories 8 kcal/ml. Purified cod liver oil, rosemary-citrus-vanilla extract (flavored version). Most fish oil capsules don’t contain enough omega-3 to deliver results, at least if you only take one a day. 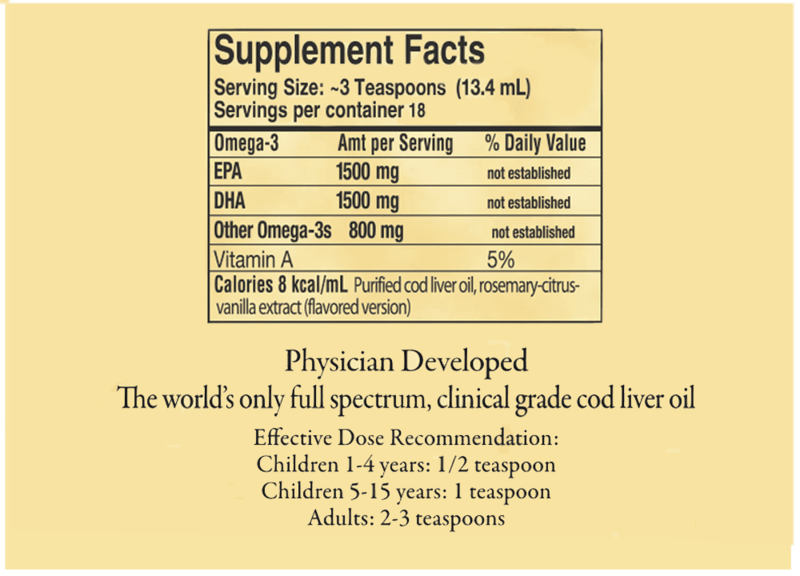 In contrast, each three-teaspoon dose of Omega Cure provides 3000 mg of EPA/DHA. That’s equivalent to taking 8-10 regular fish oil capsules or eating a 5-6 oz. filet of wild-caught salmon. Here at Omega3 Innovations, we are fresh obsessed. No other brand can rival Omega Cure’s extremely low oxidation levels and resulting deliciously drinkable taste. How do we achieve exceptional freshness? We start with the finest raw materials. We process ever so carefully. We ship directly to you. Each bottle is marked with the bottling date and freshness measurements of your batch. Did you know that most omega-3 oils go through an unnecessary processing technique (a.k.a ‘winterization’) that skims away a significant amount of naturally occurring nutrients? In comparison, Omega Cure is a non-winterized oil, positively thick with the omega-3 fatty acid family and other nutrient co-factors. In terms of nutrition and potency, it’s like choosing your grandmother’s garden salad instead of iceberg lettuce. Unlike most omega-3 supplements, which originate from South American fisheries, Omega Cure actually comes from wild cod, sustainably harvested off the northwest coast of Norway. The oil is then purified and analyzed at a world-class refining facility before being air-shipped to us in Venice, FL. From there, we bottle and ship Omega Cure straight to you. Every batch of Omega Cure is purified using a state-of-the-art refining technique that removes impurities without compromising the integrity of the oil. The result is a pristine, non-oxidized omega-3 oil that can be safely consumed by all ages, including infants and pregnant women.